Many flat roof companies use our services when replacing existing flat roof areas. 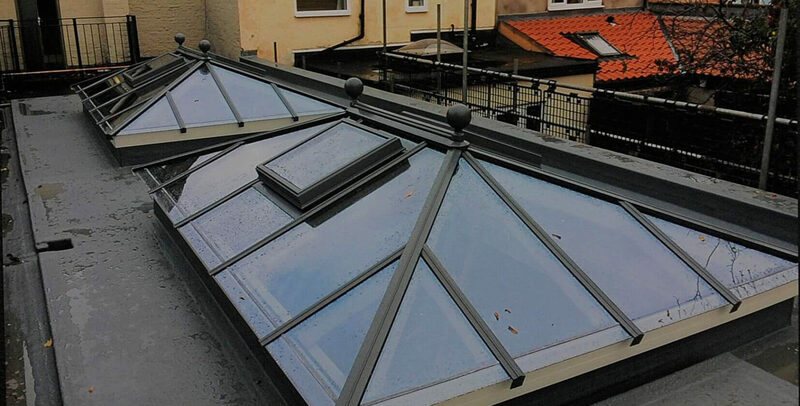 They are usually asked to replace a clients existing roof, but can then very easily add a roof lantern to the roof space above – transforming the internal look of a room. This provides a unique selling point for the roofing company and additional revenue to the project. 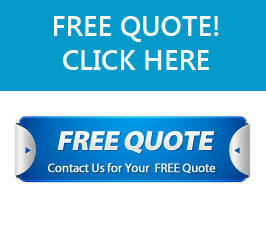 If you would like more information or if you have an enquiry, please call us on 0843 886 7945. WA flat roof is a flat covering of abuilding. As opposed to the pitched type of roof, a flat roof is horizontal or almost horizontal in appearance. Materials used to cover the flat roofs should allow the water to run off freely, even though the flat roof may only have a slight pitch. Traditionally flat roofs used a tar and gravel based surface which, as long as there was no pooling of water, was sufficient to stop water penetration. However, these surfaces would tend to fail due to climate change, as cracking would occur. Modern flat roofs tend to use a continuous membrane covering which is better resisting pools of standing water. In application these membranes are applied as a continuous cover where possible, though many sealants and adhesives are available to allow for bonding sheets and dealing with structures penetrating the roof surface. Today many flat roofs are a GRP construction with fiberglass being used, with many companies providing guarantees in excess of 25 years. Modern day architecture viewed the flat roof as a living area. Le Corbusier’stheoretical works, particularly Vers une Architecture, and the influential Villa Savoye and UnitÃ© d’Habitation prominently feature roof top terraces. The most common type of flat roof is the asphalt built up roof (BUR). It is made up of multiple layers of reinforcing plies and asphalt. 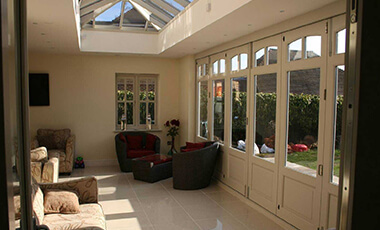 The reflectivity of built up roofs depend on the surfacing material used. Gravel is the most common and they are referred to as tar and gravel roofs. Asphalt degradation is a growing concern. UV-rays oxidise the surface of the asphalt and produce a chalk-like residue. As plasticisers leach out of the asphalt, asphalt built up roofs becomes brittle. Cracking and alligatoring inevitably follows, allowing water to penetrate the system causing blisters, cracks and leaks. Compared to other systems, installation of asphalt roofs is energy-intensive (hot processes typically use natural gas as the heat source), and contributes to atmospheric air pollution (toxic, and green-house gases are lost from the asphalt during installation). Self healing gel like membrane that never cures. Made of 45% recycled tire rubber, it goes on top of existing tar roofs then capped with a sheet membrane. Chlorosulfonated Polyethylene is a synthetic rubber roof. It is more popularly known as Hypalon. IB is simply one manufacturer of Seamless modern membrane roof systems. Others include Carlise,Firestone, GAF, JohnsManville,etc. Warranty terms and pricing all differ yet none has been empirically proven to outperform the other, since most applications of the different competing technologies have yet to complete life cycles. Singly Ply Thermoplastic roof systems are relatively recent and changing technologies. PVC and TPO membranes are taking over the thermoplastic roof market, replacing the EPDM roof system. PVC membranes are shown to be more stable because the chemical formula used to create it is more defined and specific than that of the multi-olefin formula’s used to make different TPO membranes. However, TPO has its advantages. Being more like rubber than plastic, it tends to withstand UV rays and thermal shock better than plastic like PVC’s. PVC is the more expensive product. Curon- Cold-curing glass-reinforced polymer composite.